We not only serve you better, we also try to have a technician available to answer phone calls during business hours to answer any technical questions you may have, to try give accurate prices for basic carpet and upholstery services and schedule appointments at your convenience. Some situations may require a technician to visit your home in order to give you an accurate quote. We can give free in-home quotes in most south metro neighborhoods. 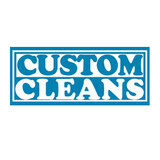 Please call Custom Cleans at 952-492-2522, we would be happy to serve you! 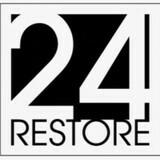 We have 25 years of experience with carpet cleaning, tile and grout cleaning, duct cleaning, furniture cleaning and more. GET A FREE OVER-THE-PHONE ESTIMATE and written guarantee for all work done! Maxwell Cleaning Services is located in Burnsville, Minnesota, we have been servicing Minneapolis and the Twin Cities area for over 25 years. We specialize in commercial carpet cleaning and residential carpet cleaning, but also offer other types of cleaning services as well. Our business revolves around integrity, and quality, and we make sure to incorporate these two values into our daily work. When it comes to our pricing structure, the price we quote you, will be the final price. Unlike our competitors, we will never charge you more than what we have quoted you, but more importantly we never try to up sell you on products. 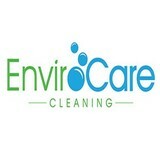 Thank you for considering Amazing Carpet Cleaning for your Carpet or Upholstery cleaning needs! Emergency Service Available... WE OFFER SAME DAY SERVICE! With years of experience in carpet and upholstery cleaning, we've learned what gets carpet and upholstery cleaner and will help in maintaining the beauty of your home or business carpet for longer. We use the industry standard hot water extraction method recommended by most experts to insure that whatever surface is cleaned, whether carpet or upholstery. Hot water extraction kills more germs and removes more dirt and stains than any other carpet & upholstery cleaning method. We have both truck-mounted and portable cleaning systems to fit whatever your cleaning needs may be. Mill City Cleaning is a fully licensed and bonded commercial cleaning company servicing over 750,000 square feet of commercial space daily in the Twin Cities and surrounding areas. We provide a full range of cleaning & maintenance solutions to corporations, multi-tenant, medical, industrial and retail properties. No property is too big or small. From one-time construction cleans to daily, weekly, or monthly office maintenance, to pressure washing and window cleaning, we offer a customized program to fit your business needs. Mill City Cleaning allows you to focus on your business while we take care of all of your cleaning and maintenance needs. Call us today at 612.822.2012 to find out how we can help you. We Do Carpet Cleaning, as well as upholstery, draperies, tile and grout, air ducts, pet odor removal and area rugs. 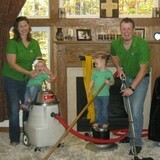 Carpet Cleaning Edina, MN sources the best carpet cleaners in the Minneapolis / St. Paul, Minnesota metro area. At Carpet Cleaning Edina, our goal is to make our customers happy and keep them coming back time after time to get their carpets cleaned. Call us today at (952) 314-9890 and we would be happy to connect you with the most experienced and top quality carpet cleaning professional. If you are having a hard time finding a professional, residential or commercial carpet cleaning service in Edina, MN, you've come to the right place. 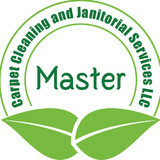 We offer competitive pricing and prompt and courteous service for your area rugs, upholstery and carpet cleaning needs. To show our level of commitment to making sure your carpets are the cleanest they can be, we offer a 100% satisfaction guarantee. That means if you are not completely satisfied with the carpet cleaning, you owe us nothing… no questions asked. Getting your carpet clean will make it "look" good, but the Environmental Protection Agency warns that a dirty carpet retains hidden pollutants that you may not know about such as: pet dander lead particle pollution dead skin cells hair clothing fibers pesticide residue cement or paint particles Walking on the carpet crushes the pollutants deep into carpet fibers which makes them unreachable by vacuums and often overlooked by professional cleaners. If left untreated, the small particles attract Dust Mites, which are microscopic bugs that leave behind daily waste and feces of up to 200 times their body weight. Even though the original pollutants are embedded tight in the fibers of your carpet, body parts and "left overs" from the dust mites can be easily inhaled when the area is disturbed. A carpet that is meant to be a comfortable place to lay down with a blanket and pillow to watch a movie, or where a baby learns to walk or crawl is often a source of hidden "creepy crawlies" and unsuspecting ailments. Without getting rid of these common critters AND their "left overs" you may be leaving your family subject to airborne illness, skin irritations and sinus irritations that contribute to sneezing, snoring and asthma. Plus, you'll have a carpet that seems to never get clean. What should I look for in a local Burnsville carpet cleaner? Not all Burnsville carpet cleaning companies use the same methods, but there are a few common things that they should do to for a quality job. Make sure they do an analysis on the area you need cleaned and recommend the best course of action — are there large stains or high-traffic areas that need extra treatment or attention? Also, make sure they provide quick drying times so that you can be back in your home faster; that means hours, not days! A good carpet cleaning service in Burnsville, MN should move furniture (within reason) and put it back in place when they are all done; don't let them charge extra to do this. Another important factor to look out for is whether or not the carpet cleaners use chemicals, and if so, they should be asthma- and allergy-friendly. This is especially important for households that have children or pets. Lots of Burnsville carpet cleaning services also clean rugs. Rug cleaning can involve anything from a simple wash to complete re-weaving or foundation work. Make sure the local rug cleaner you choose has experience with the types of rugs you need serviced, especially if they are hand-woven or Oriental rugs. What should I look for in a local Burnsville upholstery cleaner? Upholstery comes in many more varieties than carpet and rugs, thus needs cleaning tailored to each specific blend. Even if you don’t know what material your sofa or chair is made with, a good upholstery cleaning service in Burnsville, MN will be able to identify it and treat it appropriately. Some textiles require dry cleaning and that can’t be done in home, so if that’s the case, check with the upholstery cleaner and see if they offer pickup and drop off services. Leather cleaning is a bit different and often involves more restoration and conditioning than actual cleaning. Make sure the Burnsville furniture cleaning service specializes in leather if you are considering them for the job. Find Burnsville upholstery and carpet cleaning services on Houzz. Narrow your search in the Professionals section of the website to local carpet cleaners in Burnsville, MN and read reviews and ratings to find one that fits your needs.